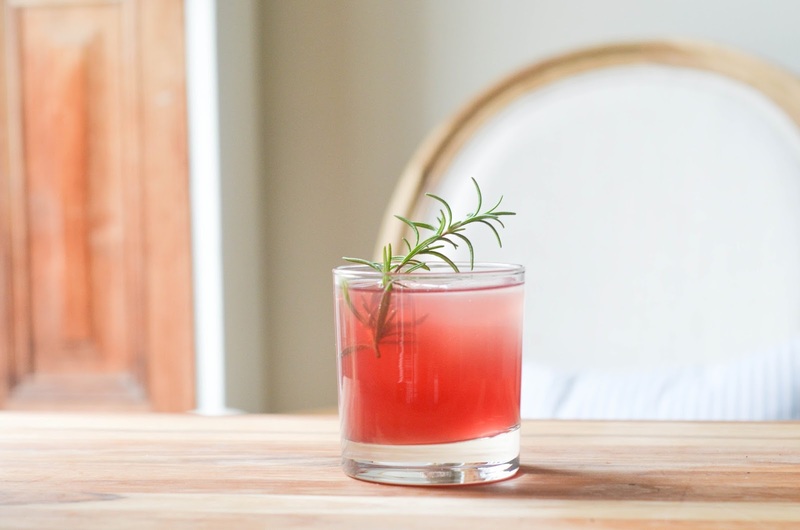 Keeping in the theme of pretty pink cocktails, this week's is brought to you by the need to use up the plants growing on my windowsill before they are done for the season. So, I plucked a healthy sprig of rosemary and surveyed the contents of my fridge. 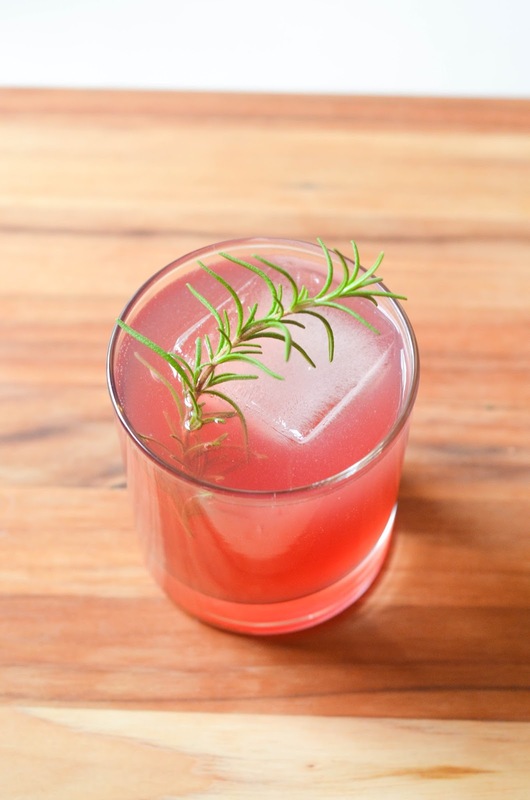 I settled on pomegranate juice, my most recent guilty pleasure split with soda water, and thought gin might go best with both. A fizz it is, and a very simple one at that. 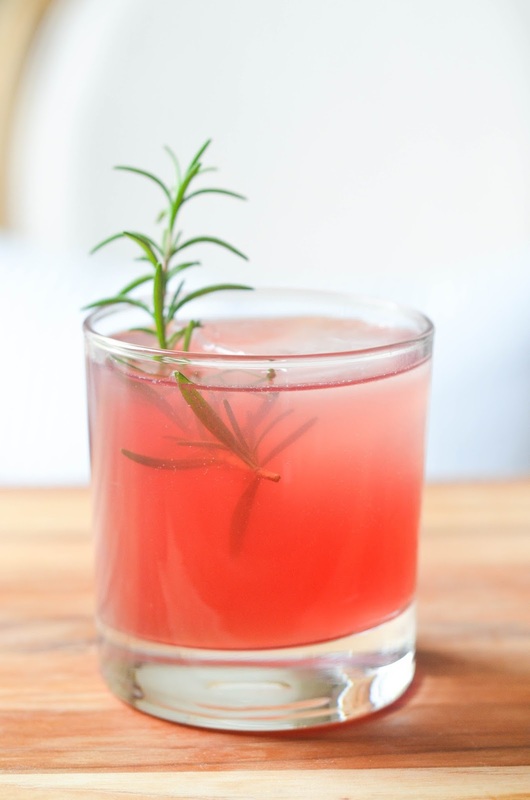 Being as the pomegranate juice is so sweet, I decided to skip on simple syrup and muddle the rosemary to get the flavor. The drink ended up perfectly balanced and tasted a tiny bit like Christmas, which I am aware it is too soon for. 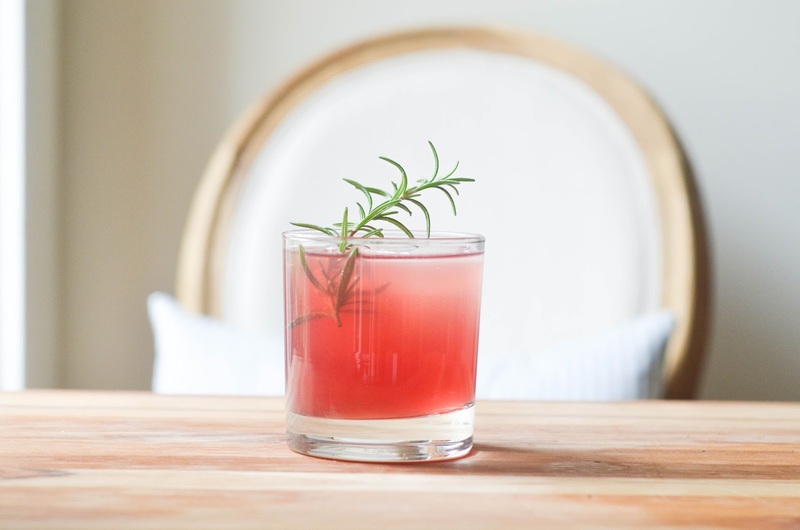 In a large glass or shaker combine gin, pomegranate juice, lemon juice, and rosemary. Muddle. Strain over ice. 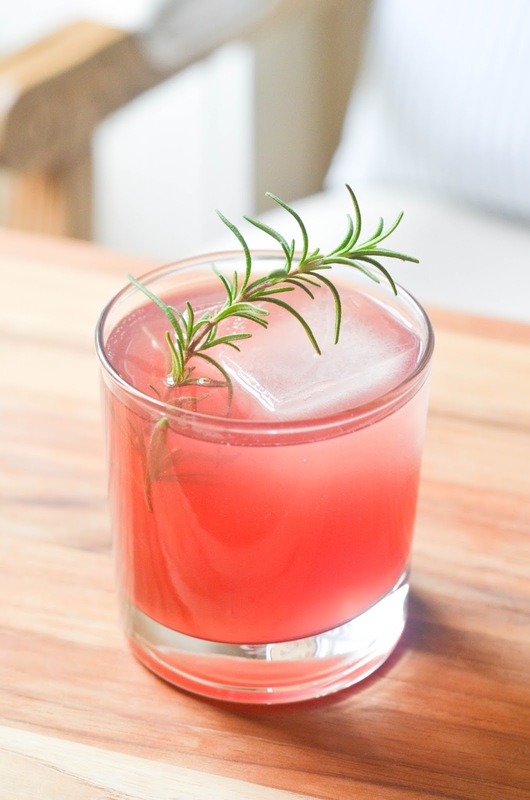 Top with soda water, garnish with a spring of rosemary, and enjoy! 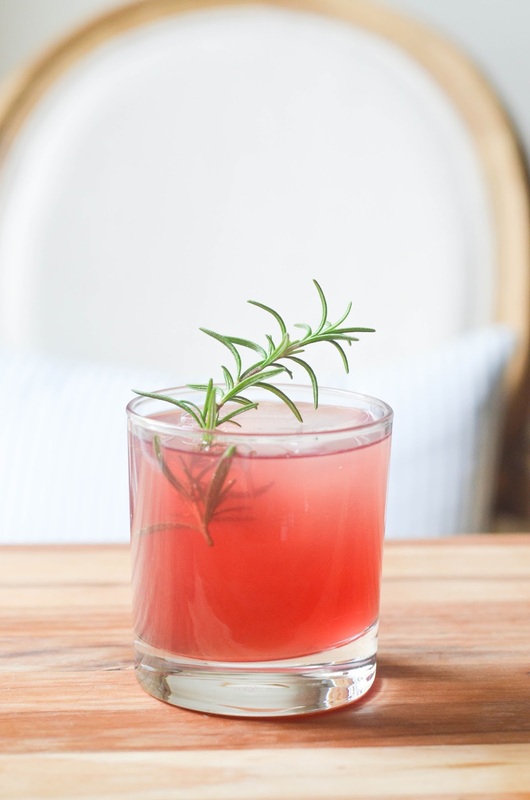 This cocktail is so pretty, I love the little sprig of rosemary. This looks so delicious! I'm generally not a gin fan, but this looks fun enough, I can't wait to try! 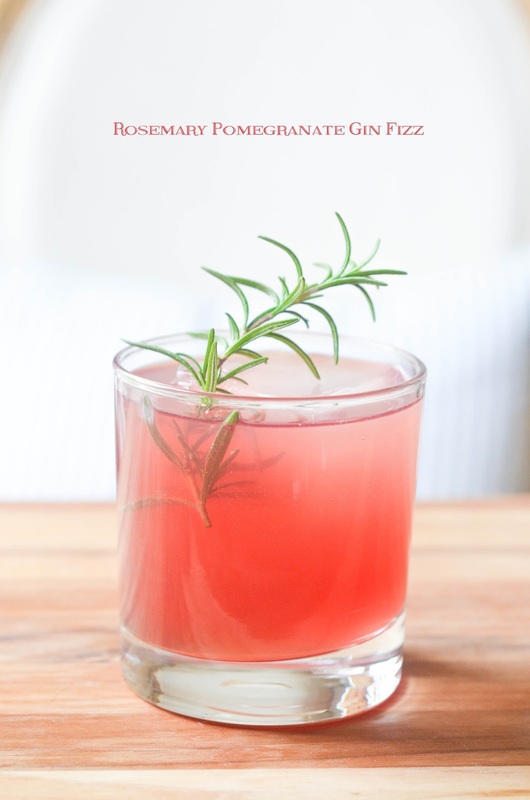 Mmm...this sounds delicious and almost looks too pretty to drink!